Under the guidance of a new Director, the Jewish International Film Festival is set for the most electrifying season in its 23-year history when it screens in Sydney and Melbourne this November. Drawing on his extensive exhibition and distribution experience, Festival Director, Eddie Tamir has assembled a brilliant line-up of 34 features and documentaries from 14 countries, which will challenge, inform and entertain audiences from within and beyond the Jewish community. Incorporating 24 Australian premieres, the 2012 programme will showcase critically acclaimed movies such as The Law in These Parts (Grand Jury Prize Winner at 2012 Sundance Film Festival) and Yossi, (Winner of Best Narrative Feature at the 2012 Tribeca Film Festival), alongside mainstream crowd-pleasers, including the romantic comedy Dorfman, starring Elliot Gould, and The Truth: Would I Lie to You? -– the third installment in the wildly successful franchise on the misadventures of Jewish garment workers in Paris. Launching the event in both Sydney and Melbourne will be the Israeli 2012 box office hit, The World is Funny, from famed director Shemi Zarhin. Nominated for a staggering 15 Ophir Awards (Israeli Oscars) across all major categories, this multi-layered, ultimately upbeat melodrama, offers a tightly woven collection of short stories told with affection by a filmmaker of great insight. 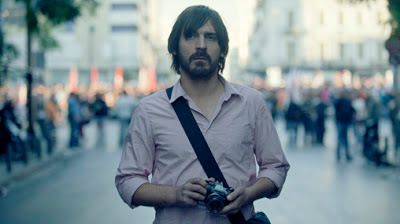 When Isaac (Ewen Leslie) embarks on journey to his late father’s ancestral home in Greece to return his ashes, he discovers a sickening and insidious secret buried within his family’s past that involves a young Jewish boy, causing Isaac’s world to unravel, as he realises that he can’t escape the ghosts of the past. Based on the book of the same name by acclaimed author Christos Tsiolkas. Winner of the SACD Prize at 2012 Cannes Critics’ Week, this action drama follows a vigilante squad of young Jewish fundamentalists. Gang leader Avi (Roy Assaf) and his friends, live in a suburb close to Jaffa, where they willfully use fists and baseball bats to enforce their Breslev code on the more relaxed Jews, as well as Arabs who dare disrupt the Sabbath peace. When new girl, Miri (Rotem Ziesman-Cohen), unwittingly comes to blows with the gang, Avi reluctantly falls in love with her, and finds himself torn between his feelings for Miri and dedication to his cause. This award-winning documentary captures a mother’s quest for peace. Robi Damelin lost her son to a Palestinian sniper’s bullet while he was manning a military checkpoint in the West Bank. After unsuccessful attempts at launching a dialogue with the sniper and his parents, Robi returns to her birthplace, South Africa, to see how, after decades of Apartheid, a nation torn apart by violence and misery found a way to forgive and begin to heal. Filmmaker Laurent Bouzereau chronicles the notorious existence of cinematic auteur, Roman Polanski; a life that plays out far more unrealistically than fiction. This thorough documentary hits all the monumental moments that have made Polanski both ‘The Man and the Myth’.